The European Union is much more active around the globe than many citizens realise. It has used its soft power to promote its values in the world, advancing human rights for people in so many places. 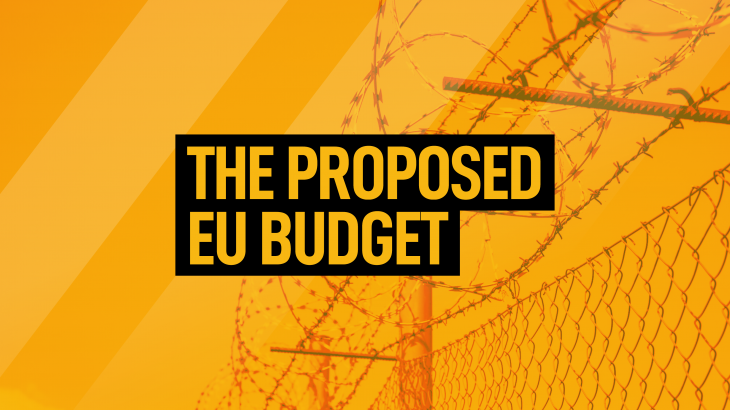 The proposed EU budget framework, or Multi-Annual Financial Framework (MFF), allocates unprecedented levels of funding for border management and military projects over the next seven years. This includes €21bn for external border control, and another €21bn for arms research, development and procurement. In both cases this is many times what has been spent in the last seven years. The impetus for this spending comes from perceptions about public attitudes to immigration, fears about Russia and efforts to increase economic growth – including the arms industry. Leading peacebuilding, human rights, development and humanitarian organisations – including QCEA – are keen to share their expertise so that Europe does not repeat the mistakes which the international community has made countless times in the past. Find out what they have to say about the EU’s proposed budget on our dedicated MFF page. 2018, Human Rights, News, Peace. permalink.